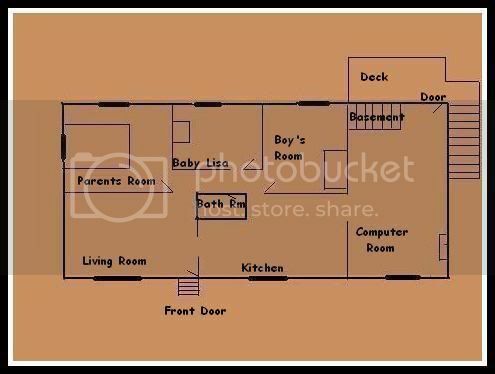 After viewing video's this is what I am coming up for the layout of the home. Of course thats what happened..........just like their cell phones didnt work and so after the perp, stole their phones he paid their bill too so he could send out texts and make a phone call........just like she forgot she went to the store to buy some wine until video from the store reminded her.........just like she forgot what time she put the baby to bed........just like she doesnt know if she passed out or not......just like she put her sick baby in anothe room and closed the door, but allowed the 5 year old and a damn stray cat to sleep with her instead......yep.....believe every word of this!!!!!!!!!!!!!!!!!!!!!!! I don't know, I was at work....I don't know, I was sleeping........Where is Haleigh??????? 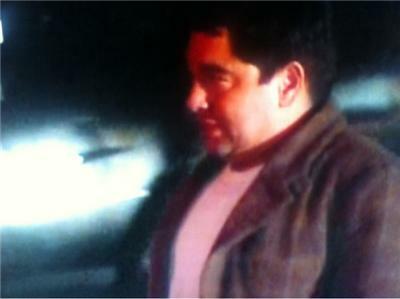 Tina Porter's attempts to speak with the parents of missing baby Lisa Irwin were rebuffed Friday night.. It really is a parent's worst nightmare when a child goes missing. It's hard to know how you'd react, but parents who have been through it say there are a few things about baby Lisa's parents' behavior that make them scratch their heads. From the second 18-year-old Kelsey Smith got kidnapped by a stranger four years ago, her parents, Greg and Missey Smith, jumped into action, passing out fliers and making public pleas for help. "I know it was extremely important to us to stay in front of the media and keep Kelsey's name out there," Greg said. Kelsey's mother Missey said she's not the kind of person who likes attention, but when it came to her daughter, that didn't matter. "I'm not a person who likes to be in front of the camera," she said, "but if it meant bringing my child home then that's what I did. You stay out there and keep pushing." Tina Porter's husband killed their son and daughter. RT @drfessel: @JeaneneKCTV5 Who is Tina Porter? Baby Lisa's family calls the cops on Tina Porter- your help is not wanted! See Porters reaction tonight on KCTV5@10! The two "decoy cars" that were in the #LisaIrwin family caravan returned to the Walrond house within seconds of departing. uhhh....you can bet if they do try to leave they wont make it far, Im sure they are being watched be LE and they will know right where they are, someone is about to get arrested and they know it! One has to wonder... who is paying for all that, and why? I'm wondering what is a decoy car. Baazz had decoy cars for Casey Anthony..
My guess would be Taco has a hand in it and a decoy car is so if someone is trying to follow them they can all go seperate ways and keep the person following them from knowing which vehicle they are in....its to fool someone so they can get away. Bill Stanton might be sitting in a jail cell next to the parents if he's trying to help them skip town. I have a feeling LE is tightening the noose. These are my opinions and subject to change. Hope tells me that maybe Lisa was found and needs her parents. Common sense tells me they may be going on a weekend trip for an out-of-town interview, or something. Bill Stanton reminds me of Emeril Lagasse. I wonder if he can cook. Page created in 6.122 seconds with 19 queries.